All doors with access to the swimming area should be self-closing and self-latching. Door Closing Systems offers a patented self-closing system for sliding doors called the Ultra Glide. It provides security and energy efficiency for any outdoor facing sliding door. There are also several options on the market for non-swinging doors like spring hinges and hydraulic swing arms. This safety mechanism can be installed on all doors with access to the swimming area. They are meant to stay on at all times so that an adult can always be notified when someone in the household is accessing the area of the yard where the pool is located. While these might not be foolproof, they do provide an extra barrier between the outside world and the pool that is especially effective at preventing young children from accessing the water while unattended. It is absolutely important that all gates are self-latching and self-closing so that they swing closed every time. Many cities require that windows with locks below 54” from the ground that are facing a pool, be outfitted with stoppers that prevent them from opening more than 4”. Devices and fences alone will not make the pool safe. It is important that all people, children and adults, that enter a pool are taught how to swim well, refrain from swimming alone, and do not attempt to dive into pools that do not meet the appropriate safety standards. It is also essential that all pools have and post an emergency response protocol and that all supervising adults consider getting first aid and CPR training. 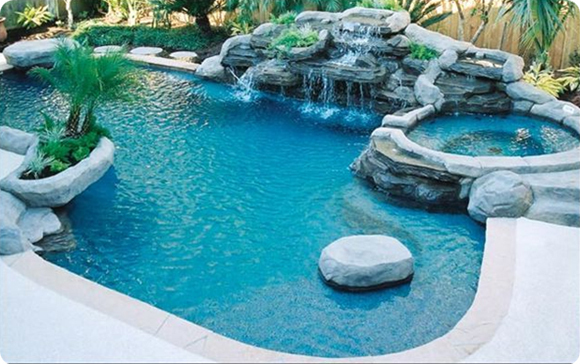 Pools are wonderful and fun places where many summer memories are made, so make sure to add safety to this years preparations so that all of those memories are good ones.